Cast Software announced the members-only limited release of WYSIWYG Release 24. The download is available for members and a general release will be available soon. 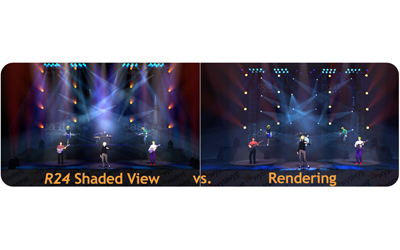 New features include: improved shaded view; new LED light sources and LED flare capability; enhanced beams, improved beam footprints and shadows; inverse square law visualization calculations; hot spots in the visualization; time-of-day capability in Shaded View for outdoor events; geometry smoothing in OpenGL for better-looking sets and people; and CITP protocol for video, allowing consoles supporting the protocol to stream video content across a network be displayed on a video screen; and more.